Voorverkoop is gestart op zaterdag 6 oktober 2018 om 13:00. The ticket sale for the Dr. Peacock Album Release Party starts NOW! Grab your special tickets fast, because they will be gone soon. 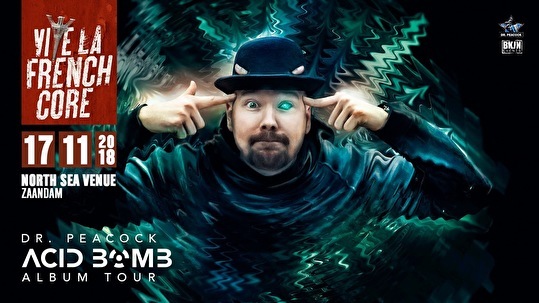 100 Special VIP tickets including the new Peacock Album signed by the doctor himself and more..
Dr. Peacock is proud to present his new album! And together with BKJN events we will celebrate this with a huge release party! * 100 Special VIP tickets including the new Peacock Album signed by the doctor himself and more..
Onze set in de Vive La Historia area gemist of nog een keer luisteren? Enjoy! 7: Knightvsion - Who is It?